If you have $80, a computer, and a little bit of patience, starting next month you can step into the future. Place a 3-x-1-inch black box in front of your Mac. Wave your hands around above it. And you can control the programs on your screen as if you’re in the Hunger Games control room. Except less complex and less morbid. 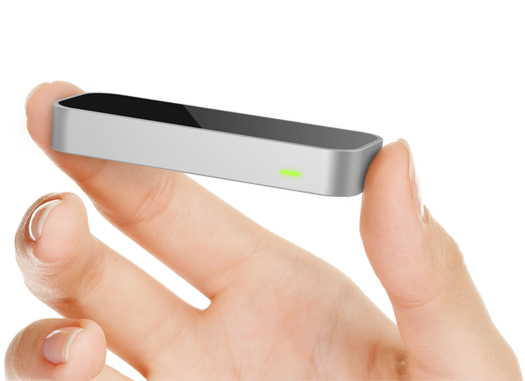 According to Investors.com, the Leap Motion controller has a 150-degree field of view and tracks all 10 of your fingers at up to 290 frames a second. It works at lightning speed, able to track movements smaller than the tip of a pin with no visible lag time. I’m sure that using this new device will take practice. With tasks as precise as refining design details, it will take a while to train your fingers to make precise movements in the air. But if I could train myself to text rapidly, to fine-tune my Wii tennis swing and to illustrate on a WACOM tablet, I’m up for the challenge. Check it out for yourself: www.leapmotion.com. They are taking pre-orders now and begin shipping mid-March.